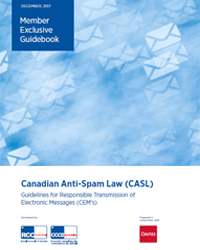 Retail Council of Canada (RCC) in collaboration with Davies Ward Phillips & Vineberg has updated its popular Member Exclusive Guidebook on Canada’s Anti-Spam Legislation. RCC’s first Anti-Spam members’ only Guidebook was published in 2014. This second release includes key updates on CRTC guidance around compliance programs and record-keeping, as well as some considerations around recent cases. ATTENTION: Retailers who sell food in Canada, especially leaders of quality assurance and regulatory compliance. On January 15, 2019, the biggest food safety regulation changes in the last 25 years were implemented by the Government of Canada. These changes will affect the management and operational practices for retailers that sell, ship or import food products between provinces. The regulations that retailers MUST be aware of include increased food traceability requirements and penalties for non-compliance. 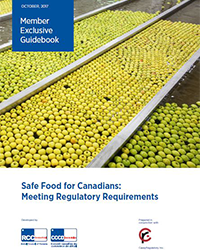 To help members understand and comply with the new regulations, Retail Council of Canada (RCC) has prepared this 2nd edition Member Exclusive Guidebook in consultation with The Canadian Food Inspection Agency (CFIA) and Casey Regulatory Inc. 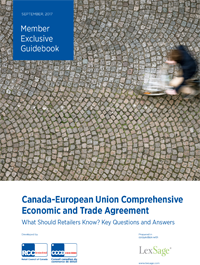 This Guidebook answers retailers’ 29 most frequently asked questions about importing and exporting European goods and provides handy charts to make navigating CETA easier. Find out about the new opportunities for your business that the Canada-European Union Comprehensive Economic Trade Agreement (CETA) has created. 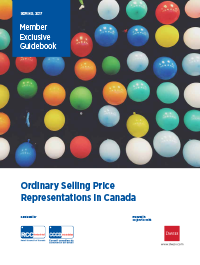 Learn how to avoid issues in complying with the Canadian Competition Act’s regulations governing representations about sales and savings.